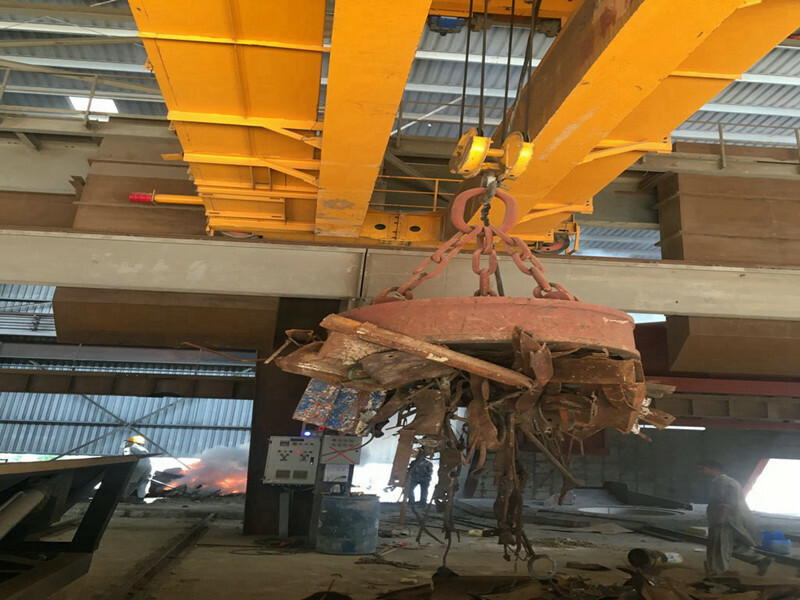 Steel scrap furnace charging magnet crane is used widely in lifting and moving scrap metal for furnace charging. 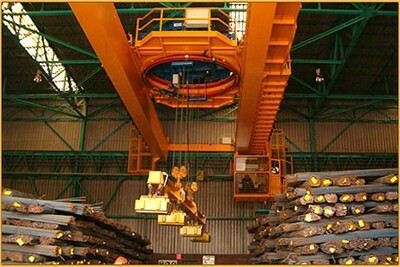 Steel scrap furnace charging magnet cranes are used to lift and move the metal objects. 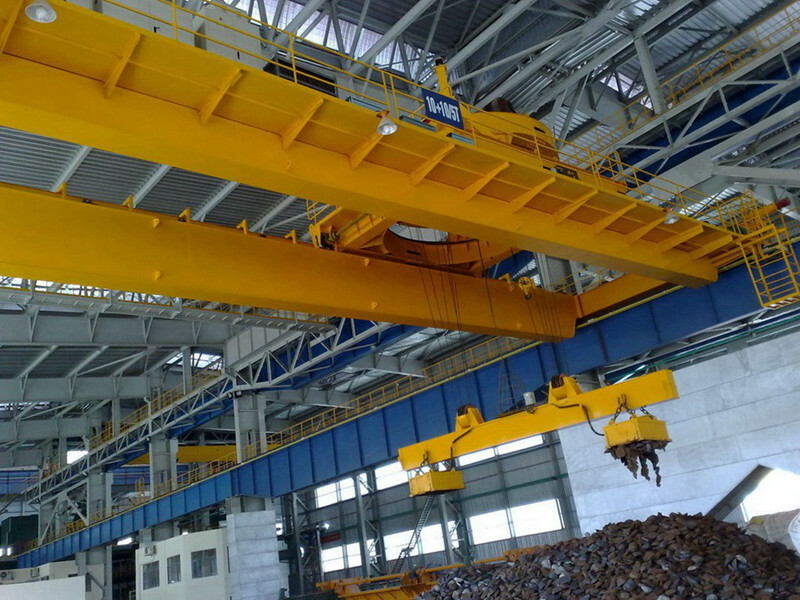 Electromagnetic cranes are particularly simple and have many advantages over other lifting tools. They are both faster and easier to work with. The protection plate for coil adopts abrasion-resisting and shockproof rolling high-manganese steel. The electromagnet is dealt with special technology, thus insulation grade can be up to Grade F. Coils of magnets are made of Aluminum (flat aluminum wire covered by double spun glass) or cooper. High lifting capacity, light self-weight. Low power consumption, long service life.